While server virtualization is a practically investment - leading to greater business efficiency, avoiding hardware costs down the line, improving IT performance and more, many organizations jump into virtualization projects headfirst without first mastering a true understanding of the role of storage in virtual environments. Without this full understanding of the crucial role storage plays, it will be difficult to solve inevitable storage challenges. 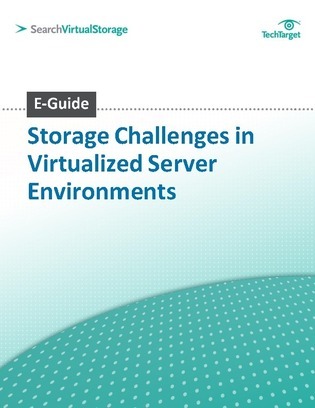 Access this e-Guide to learn tools and tactics you can leverage to address and solve common storage challenges in virtual server environments, such as efficiency, speed, sprawl and end user expectations. Read on for an expert Q&A with Forrester Research Principal Analyst Andrew Reichman.